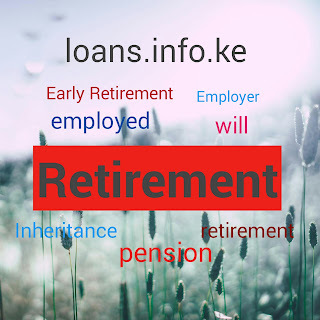 Kenyans in employment,either in the government or in the private sector go home for retirement at the age of 60years as required by the law.Sometimes, voluntarily, an employee can ask for retirement from their employer at any age before 60years,and if granted, its called 'early retirement'. When one goes home after retirement, they start complaining of a stressful life.There are many causes of this kind of the so called stresses but the main one affecting kenyans is poor finances.In developed countries like the US and the UK,retired individuals complain mostly of boredom.How then can one cope with the retirement side of life? Just like self-employed individuals,retired people become their own bosses if well planned. Retired fellows can do what they want to do rather than what they have to do to get paid.It simple means being busy at one's own pace not someone else's. The best people are good in planning. Most successful individuals plan early for today and the future.If you have been saving money or investing for future benefits ,you most probably won't suffer lack of finances after retirement.Note that ,budgeting and sacrifice is not just for the poor.Poor expenditure habits and investing decisions can land one into bankruptcy. I won't talk about boredom in Kenya.Kenyans above 60years have too many grandchildren to keep them busy.Remember, this is Africa. Some retired kenyans are taken ill while others commit suicide and die due to the effects of being retired.Someone who used to earn big cash is now cashless every end month.To these kind of people ,retirement comes like an accident and normally shocks them.This way others are forced to go back to work at the age of above 60years! The ultimate answer to solve this stressful life is to 'start a business at home'.This business will keep you busy thereby eradicating boredom.It should be something you'll be doing out of passion and if possible based on your expertise.This will provide the little you would need to spend for at least your personal needs. For people with expertise,always take advantage of what you have been doing for long.For example,a retired doctor can give simple consulting services from home at a fee by giving clients the right advice concerning their medical situations and refer them to the right doctors in service or the right hospitals. 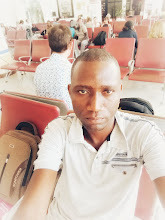 For kenyans who have been working casually or those who can practise their expertise from home, agribusinesses for example poultry keeping can help.This is something people have been doing before civilisation time.New era people can try online jobs for example freelancing.The aim here is to work from home. In retirement, one should come up with ways to 'get finances' and kill 'boredom'.In Kenya, the later is not much a problem. Getting finances for everyday use must be considered.